The Field Museum of Natural History in Chicago has earned its reputation as one of the country’s greatest museums- and rightfully so. But there are just a few things I wish I had known before we visited. We visited the Field Museum on a sunny Saturday at the end of spring break. The lines weren’t too long, we stood in queue for 10 minutes, at the most. When we approached the agent to pay we were presented two options: the All Access Pass and the Discovery Pass (no longer available). The All Access Pass includes admission, all special exhibits and a 3D film. 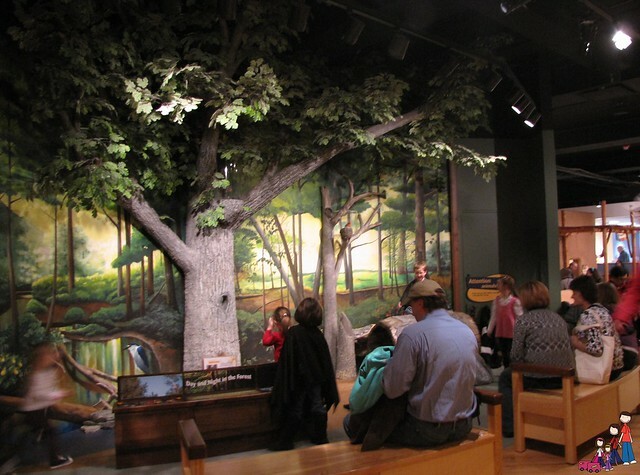 The Discovery Pass includes admission, one special exhibit or 3D movie. As those were the two options we were given we chose the Discovery Pass- which set us back $74 (2011). What I found out after the fact is that there is another, more affordable option: the Basic Admission, which allows you to explore the museum but includes no special exhibits or 3D movies. Had this been offered to us I would have chosen it (as none of the special exhibits were of any interest to my family; we paid for something we didn’t use). Be sure to ask for the basic admission if it isn’t offered (and you don’t want any special exhibits). It would have saved my family $24- not a small sum. 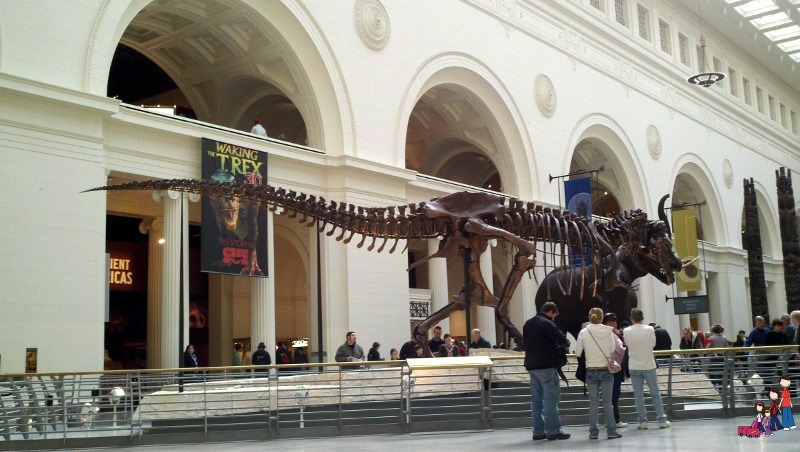 Planning to visit a few Chicago attractions? 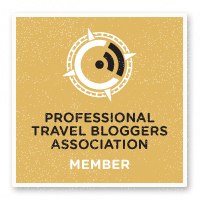 We recommend CityPASS. The Field Museum, Shedd Aquarium and Adler Planetarium share parking. Parking in the lots will cost $16-$19 on non-event days; more during events. Tip: Staying in downtown Chicago? Try Divvy Bikes– there is a handy rental/return spot just outside the Field Museum. We approached the Field Museum at the North Entrance, entering through the majestic column. Inside we quickly queued and were through in a matter of minutes. A coat and bag check is available near the museum store at the South Entrance. The museum is large and the small per item charge is well worth the cost. The best plan of attack is to decide what you really want to see. In my family we each chose our number one “must see”; everything else just happens as we come across it. It is probably best to realize that you won’t be able to see everything the museum has to offer in one visit. Doug chose “Inside Ancient Egypt”. Entering the pyramid on the main level, you make your way through its chambers down to ground level. Filled with mummies, sarcophagus, and treasures it is an intriguing introduction to Egypt. I chose the “Hall of Gems”, a magnificent room filled with brilliant, priceless jewels. It was interesting to see how gems are created and how even the smallest variable will create something different. Of course the cut stones and dramatic jewelry were beyond belief. Brenna and Caelan, quite unanimously, chose the Play Lab. The Play Lab is “hands on” science and pure fun. After entering you first encounter an incredible forest- filled with animals and sounds. The girls didn’t hesitate to put on costumes and be part of the fun! Brenna flitted from costume to costume; Caelan enjoyed being a skunk- she would lift her tail and spray other animals with a “pssstttt….”. 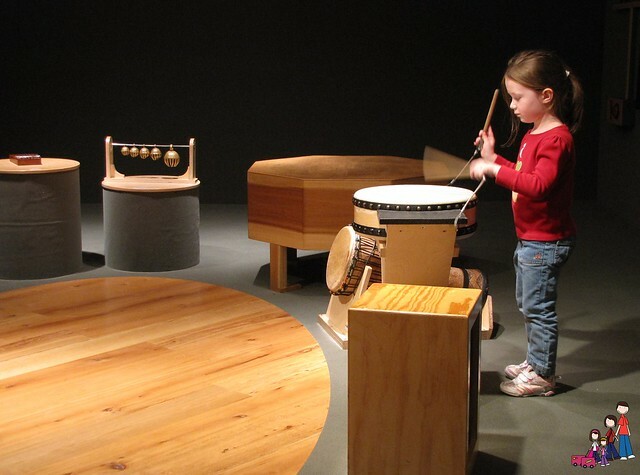 It was difficult to entice them from that fun, but I managed to get Caelan to follow me to a room filled with drums where she happily made music. From there we explored a pueblo, planted maize, and dug dinosaur bones before settling in a dinosaur nest to play “baby dinosaur”. We probably saw half of what the Field Museum had to offer in the 4 hours we were there. We explored a deserted island in the Pacific, saw the Lions of Tsavo, toured China and learned about our evolving planet. If you spend more than a couple hours wandering through the Field Museum chances are someone will become hungry. There are a few options for dining. Two areas are set aside on the ground level with seating. If you plan ahead and bring a lunch you can leave it in your car and retrieve it when it’s time to eat. Simply get your hand stamped and be sure to take along your ticket for re-entry. The Siragusa Center also has has vending. The Field Museum has two restaurants, the Field Bistro and the Explorer Cafe. Both restaurants have a focus on locally sourced and seasonal items which, though tasty and healthy, may hit your wallet a bit hard. The building is massive, be sure to wear comfortable shoes! You’ll find restrooms on every level of the museum, but the two large family restrooms are on the ground level. 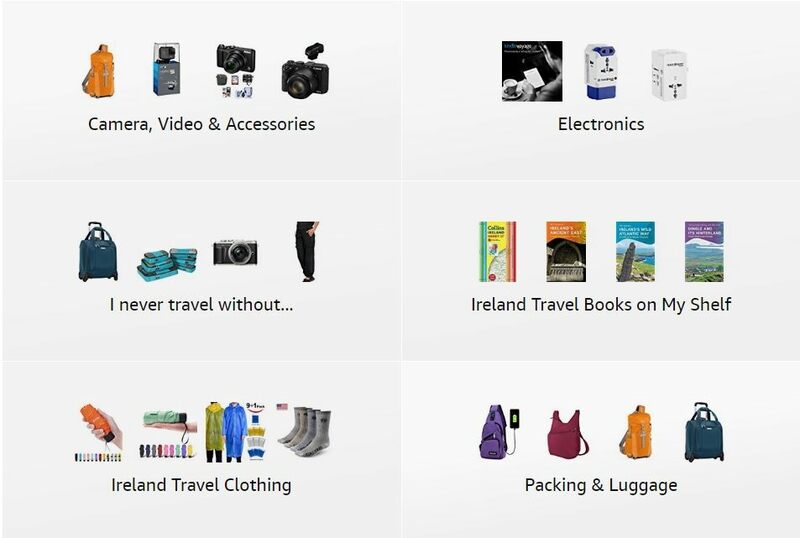 Check for free days and special offers before you go. The museum has an incredible library. Though appointments are encouraged all you have to do is request a member of Protection Services for access. 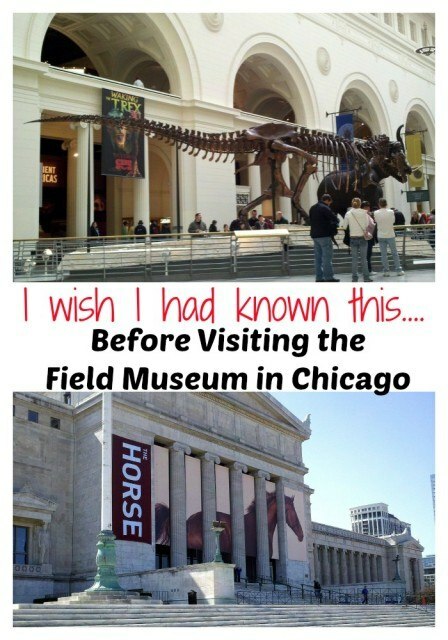 Have you visited the Field Museum? What was your favorite exhibit? Somehow we must have missed the playlab when we went to the Field Museum. It’s been a few years, but I still remember how much my kids enjoyed putting together the big floor map and finding fossils in the floor. http://minnemom.com/2007/11/01/field-museum-of-natural-history/ I also nearly lost a child in one of the big, winding exhibit areas, so there was a bit of a scare to our day as well. 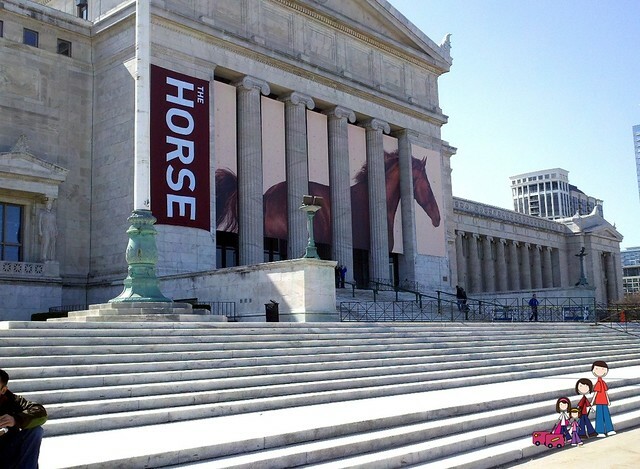 I think the museum has changed quite a bit since your visit. There was no large map puzzle when we went. But that’s good- even a museum needs to keep current! I have been visiting the Field and the Museum campus at least annually since King Tut came to Chicago in the 1960’s. Your review is right on! Thanks for mentioning the Free Days. For locals think of becoming a member. There is a new pay for street parking which is much cheaper. When I have kids with me I usually plan two to four hours. I have had great luck. These are amazing tips, Jody! We will definitely put them to good use this weekend when we visit! You rock, as always! The McDonalds and Corner bakery have been closed and replaced by the Field Museum’s restaurants that source locally-grown and raised meats and produce. I loved the McDonalds because it was affordable. Looking at the new menus on the Field museum’s website for their new yuppie restaurants — they’re BOTH atrociously overpriced ($8 for a burger and that doesn’t include fries or a drink!! ), so I recommend you pack a lunch! Thanks for the update, Beth! It’s unfortunate that the restaurants are so expensive now- definitely not an affordable option for families. Great post- just wanted to add that the Play Lab has last entry at 3pm and closed at 4pm. We missed it by two minutes – it’s a firm cutoff at 3pm. Thank you for this info! This is very helpful. Glad to hear it! Hope you have a great visit! I loved visiting the Field Museum in Chicago. We were visiting my brother-in-law for a few days, and we wanted to see as much of the city as we could. so we got the All-City Pass. We used it for Field, Science and Industry, Adler, and a choice between Hancock or Sears, at the time. We chose the Hancock. The pass also saved us from waiting in line at every museum to purchase tickets, even if waits weren’t that long. Thank for this article. It was fun to think about this trip! I would love to bring my two niece there for they enjoy going to museum. I wonder how much is the ticket price every weekends? I recommend visiting the Field Museum website- it is linked in the article.